Evo & Grace: The WanderLusts: What Would Be Your Last Words? 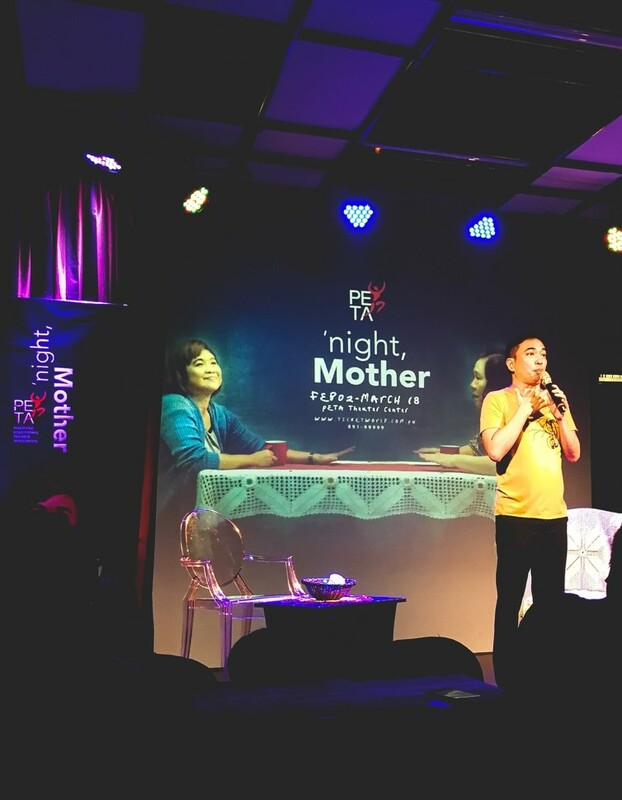 :“Night, Mother” Press Launch. What Would Be Your Last Words? :“Night, Mother” Press Launch. Putting the icing on the cake on its 50th season, the Philippine Educational Theater Association (PETA) is set to stage Marsha Norman’s “Night, Mother” this coming February 2018. 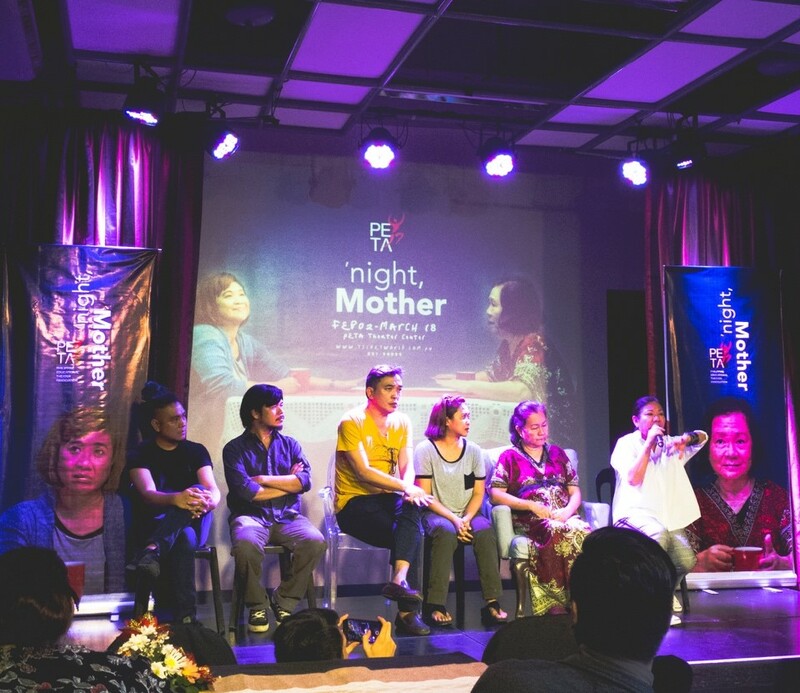 Adapted by Ian Lomogo and to be directed by Melvin Lee, the play will be starred by Eugene Domingo and Sherry Lara. 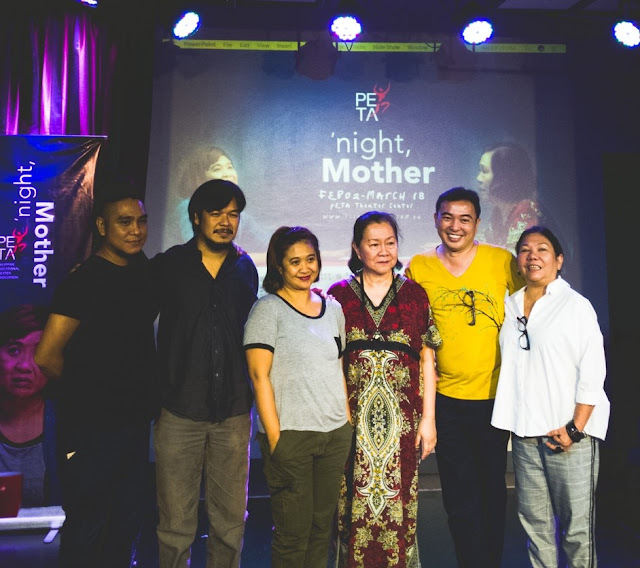 Last December 6, 2017 a press launch was held for the first local production of the 1983 Pulitzer drama play “Night, Mother”. The event was well attended by the press and its production cast. Award-winning theater actress Eugene Domingo and Seasoned theater veteran Sherry Lara will take the lead roles in this Two-woman play as Jessie and Thelma. This intimate but emotionally complex play hopes to tackle provocative issue that comes with urban modern life. A 10-minute excerpt was performed at the event. Jessie (Domingo) is a divorced woman suffering from epilepsy who converse with her mother, Thelma (Lara), about her plan of taking her life that night. The performance was a pure and sincere of what-would-be a conversation between a family-empathizing and heartfelt. 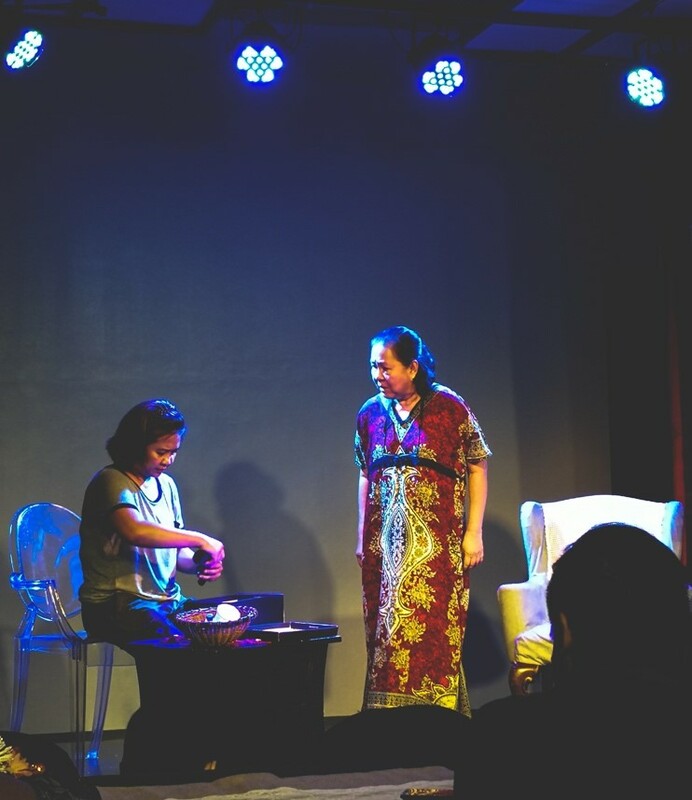 Revolving around the personal conversation of a mother and daughter, this 90-minute real time play would keep the audience on their seat as truths unraveled and as a mother convinces her daughter that life is worth living. Melvin Lee, the director, encourages everyone who will watch to look beyond the literal. Despite the plot involving a plan of suicide, the main story talks about the conversation that we’ve had, or should have had with our loved ones. Conversation clarifies feelings and thoughts that would keep us out from darkness, he added. 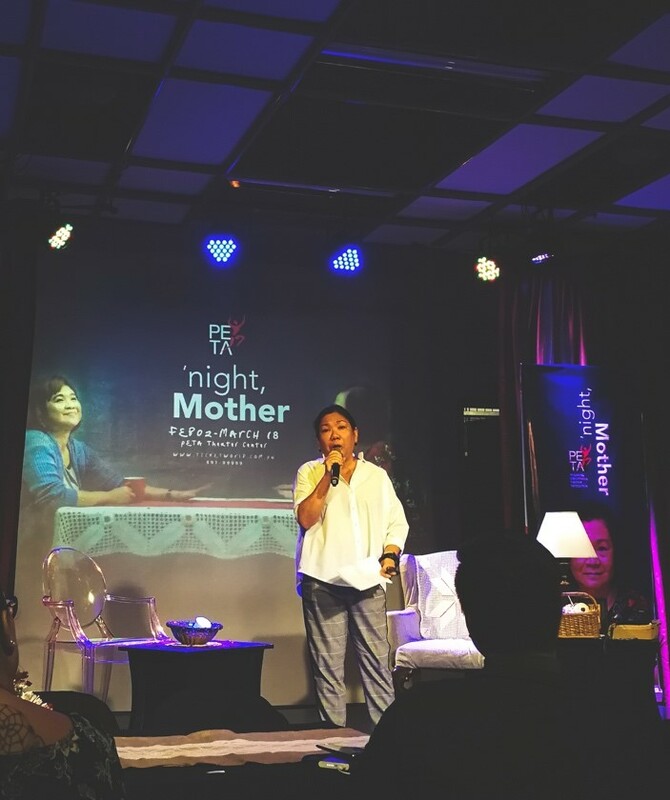 Fresh from her five-year hiatus, Eugene Domingo is also excited to come back to the theater with this production. Beyond her drama prowess, Domingo will serve also a plate of organic black humor that is contextually embedded in the play. She is also excited to play for the first time the role of Jessie this time as she already played the part of Thelma (the mother) in a student-staged production of “Night, Mother” back in 90’s. The stage play would also be a good platform to discuss the timely relevant mental health issues. 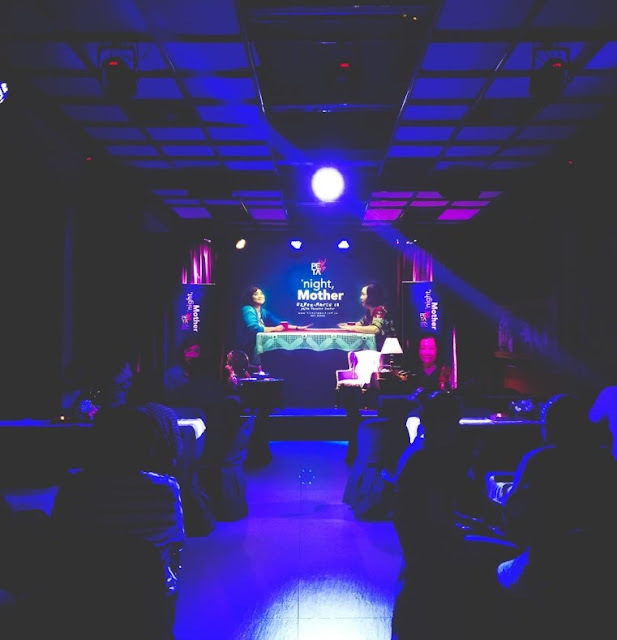 Several mental health advocates and personalities were present during the event with the cause of having the show as a vehicle for their advocacies. Professionals and consultants will also be present during the run of the show for those individuals that would be in need of help.